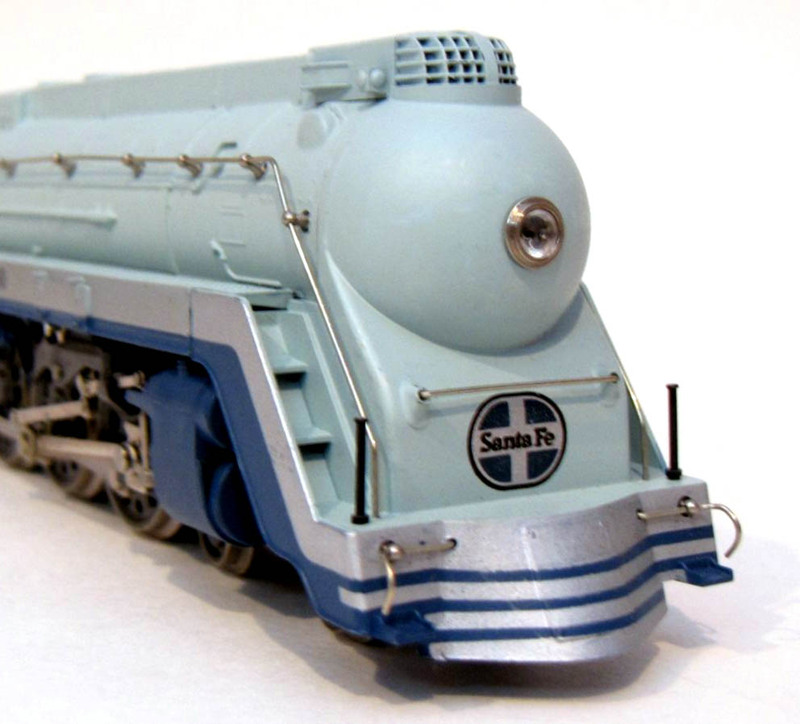 The Santa Fe Blue Goose 4-8-4 Steam Engine is found in 1977 listings from AHM carrying stock number 5196 and an $84.98 retail price. 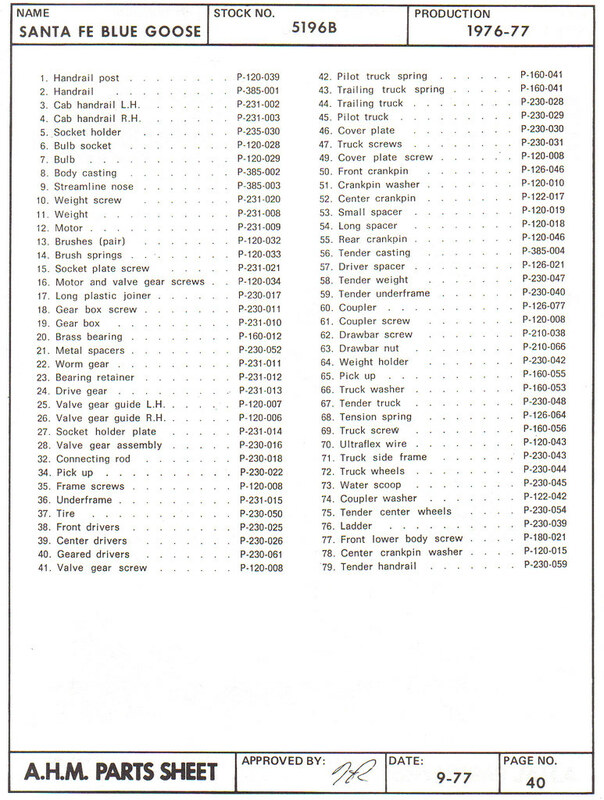 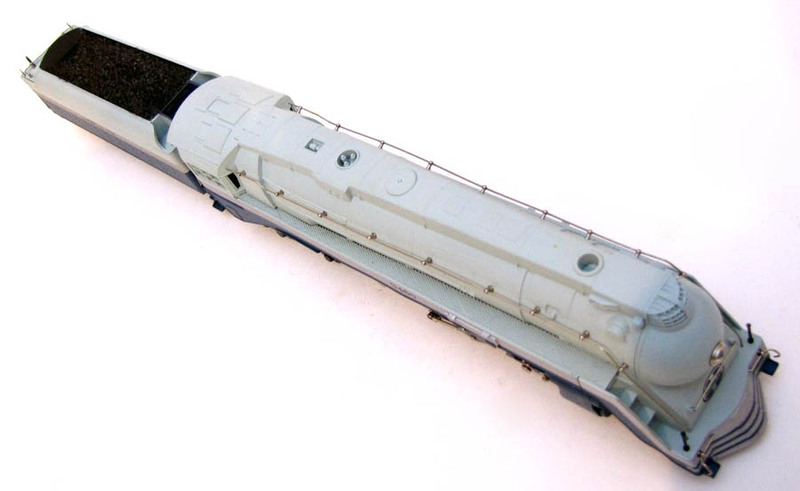 AHM's 1980 Price List #1000 shows the Santa Fe Blue Goose 4-6-4 retailing for $198.98. 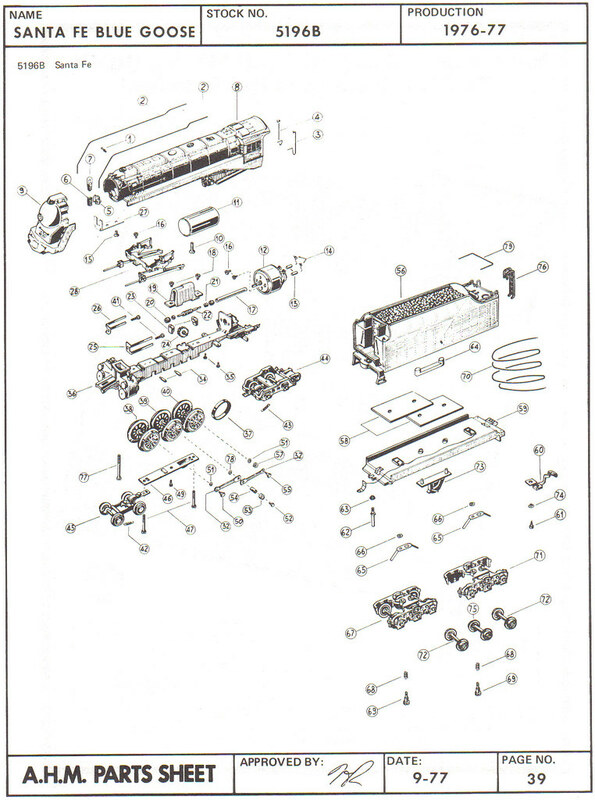 Above is AHM's parts diagrams for the Blue Goose Steam Engine. 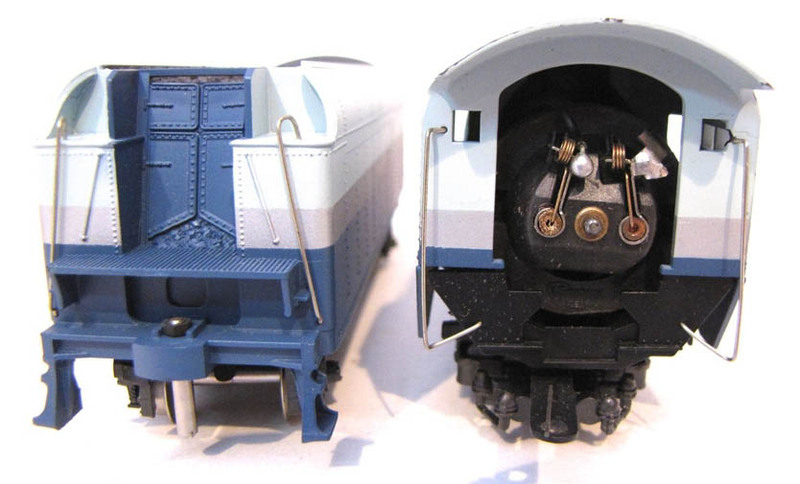 You may click on any thumbnail image to open a large version for best viewing.